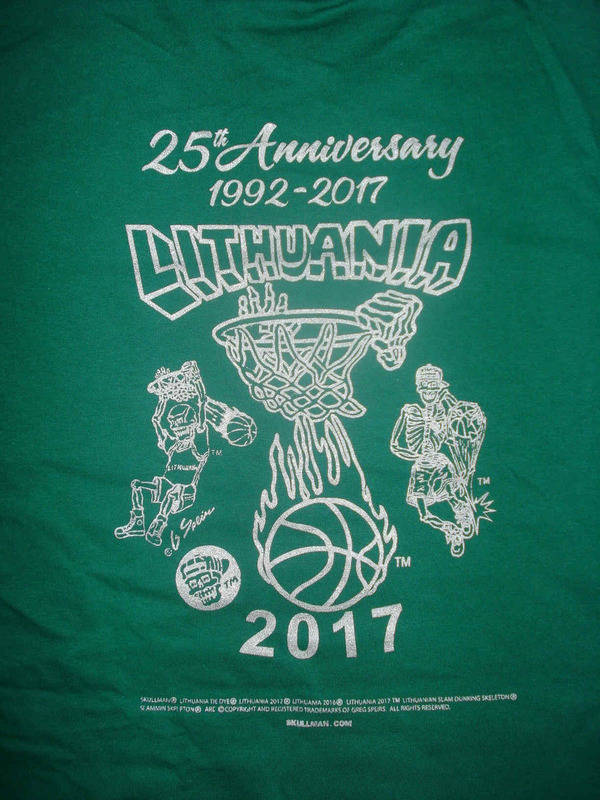 T-Shirt Sizes: Large, XL ($27.95) ea. Easy, Secure Order Now by PayPal $27.95 ea. 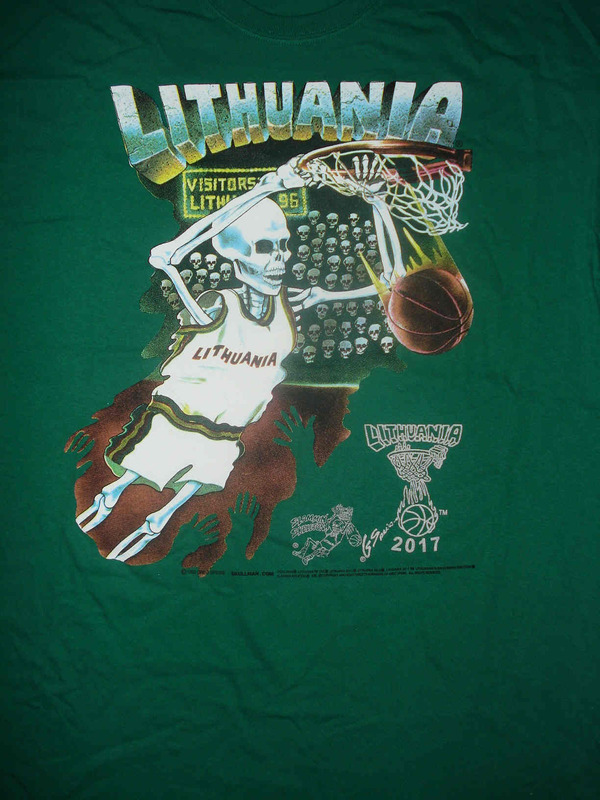 $4.00 shipping anywhere in the U.S.A.
Sports history trivia: The Original 1992 Lithuanian Slam Dunking Skeleton was created by NY sports artist Greg Speirs. 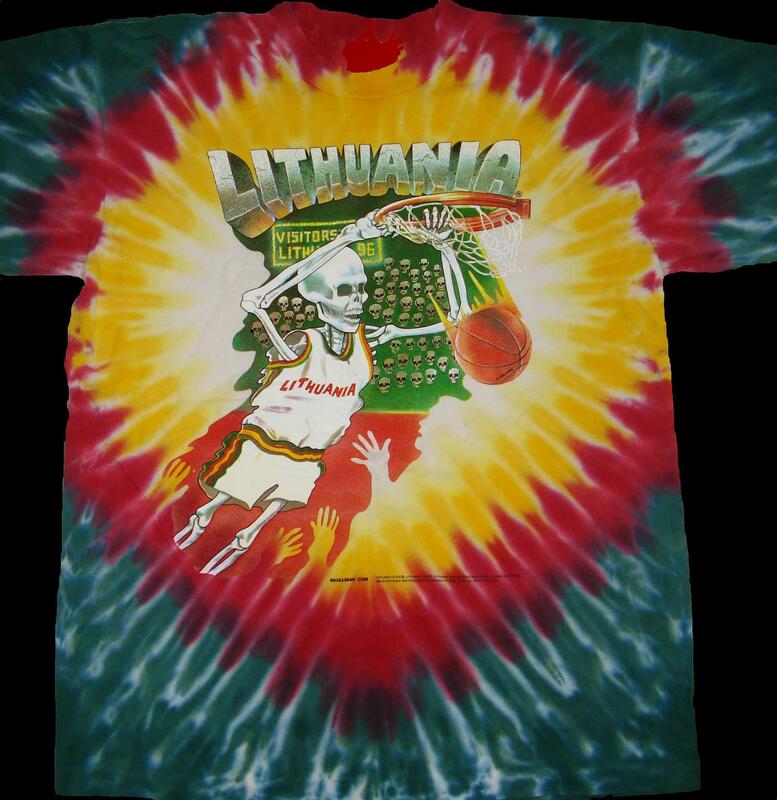 Copyright ©1992- 2012 Greg Speirs, Lithuanian Slam Dunking Skeleton® & Lithuania Tie Dye ® are registered trademarks of Greg Speirs.